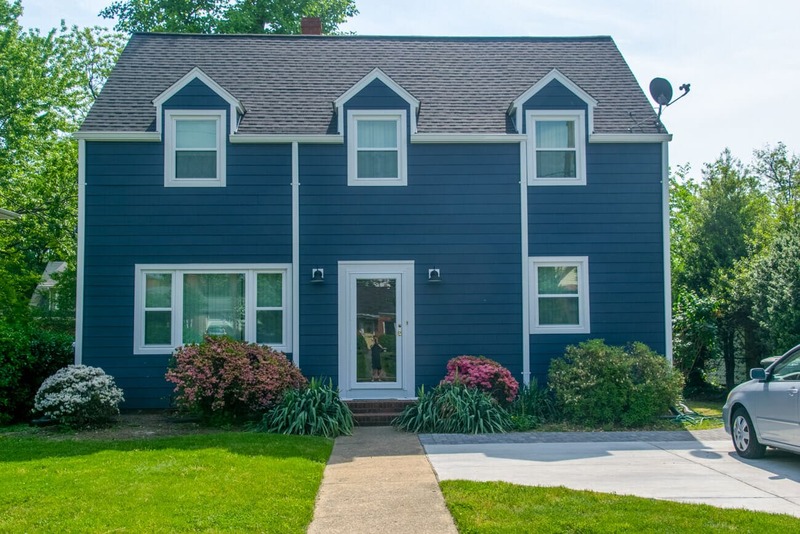 Virginia Residential Remodeling & Improvements | ALCO Products Inc.
Siding replaced with James Hardie Fiber Cement Siding in iron grey with artic white trim. Windows also replaced with vinylmax windows complete. Gutters and downspouts replaced. Windows replaced with vinyl replacement windows. 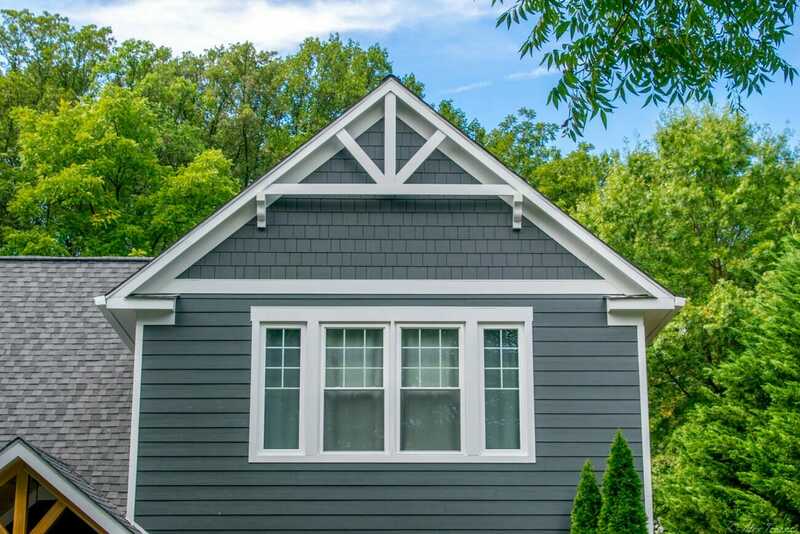 James Hardie siding installed in iron grey with white trim. 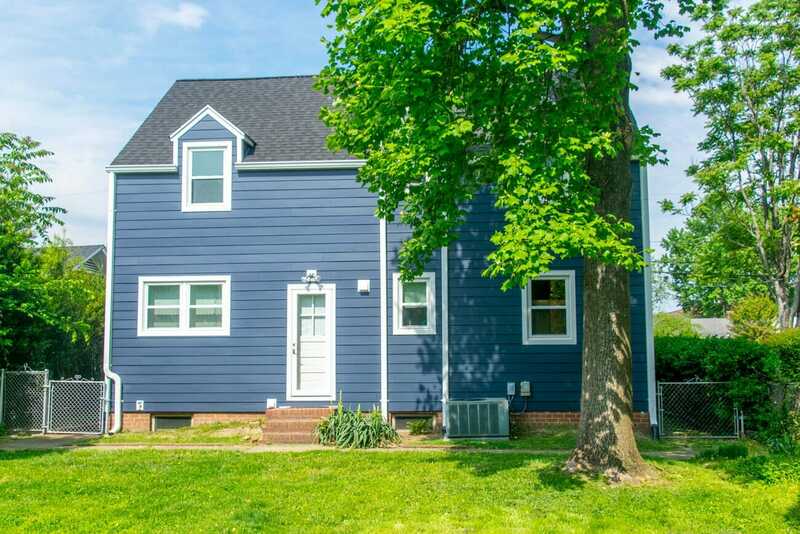 (Front entrance gable built, Simpson wood door installed, roof replaced, and custom outdoor living space with kitchen and fireplace also built).